We started day 3 with a trip to Lantau Island. 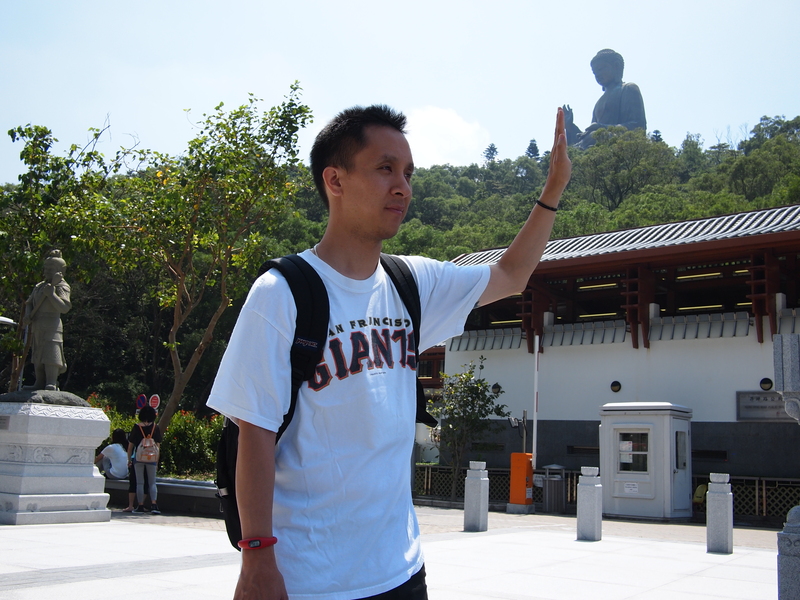 We took the cable cars to the Po Lin Monastery where the biggest Buddha statue in the world sits. When we got there, it looked a little like Disneyland had taken over… like a “Kung-fu Panda Land”. But once we got closer to the statue, things started to look a little more authentic. 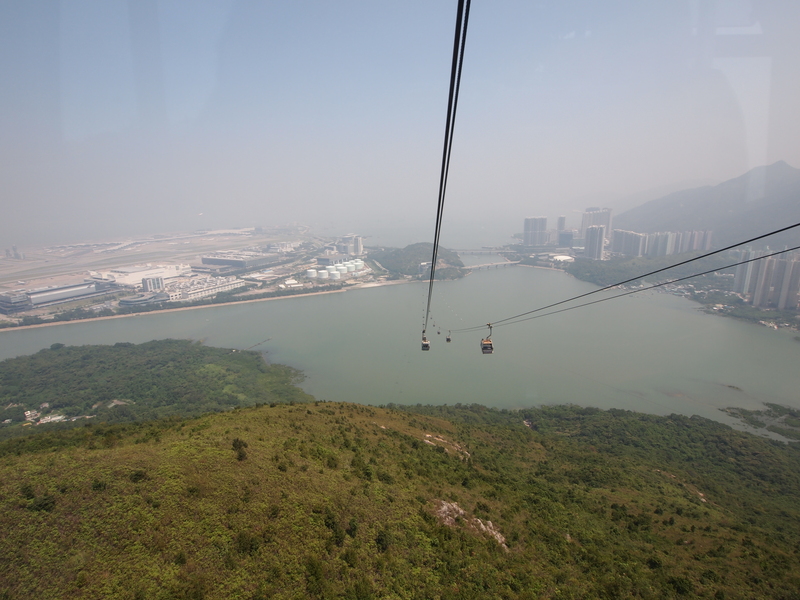 The cable cars to Lantau Island. It was very high and very fun. The big buddha. It’s the biggest statue of him in the world! Although this was a major tourist spot, many devoted Buddhists still make pilgrimages here. One of the things you can purchase there is a special vegetarian meal prepared by the monks here. It sounds more special than it is. 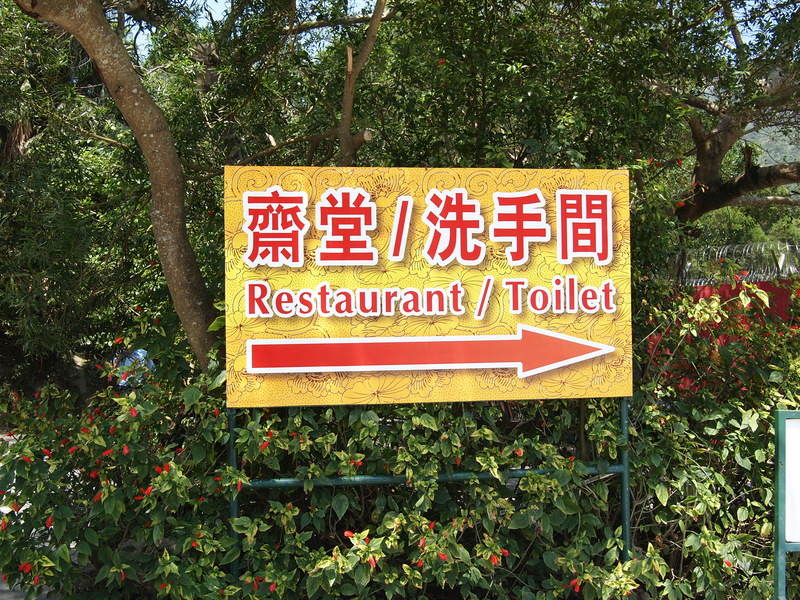 It’s basically just the vegetable dishes at a Chinese restaurant. They wouldn’t let us take pictures inside the restaurant, but we did manage to get this one just outside. This sign doesn’t communicate good things about the food. A faux junk boat in the harbor. 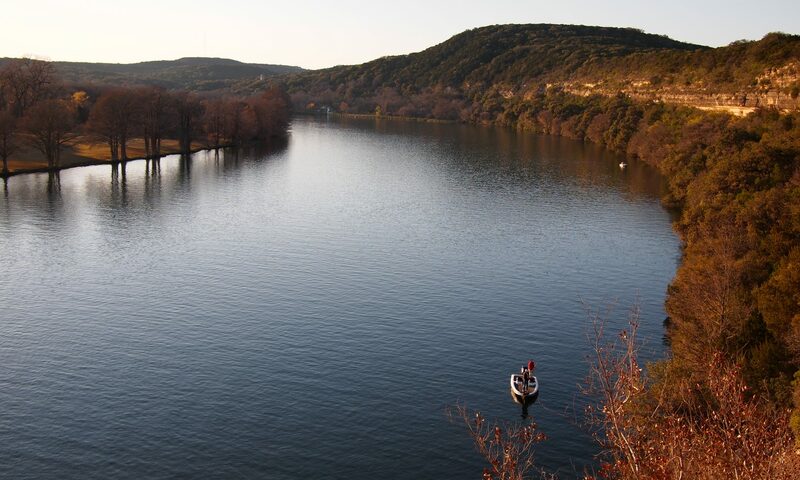 I got excited when I first saw these, until I realized they were tourist trap boat rides. This is Selene. She moved from Hong Kong to the US in 5th grade, and sat next to me on the first day of class. From then, we went to the same school all the way through college. She recently got a great job back in HK, so Eric and I came to visit her. Whenever I tried to snap a pic of her during this trip, she’d give me this “what the hell do you think you’re doing” look (see above). She told me not to post this picture, so being the good friend that I am, here it is. haha. 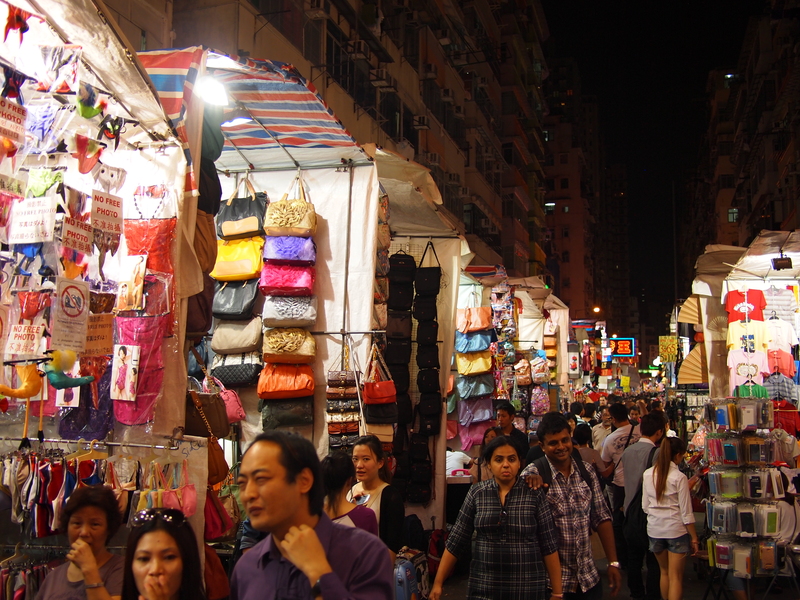 That night after dinner we headed to one of the night markets. 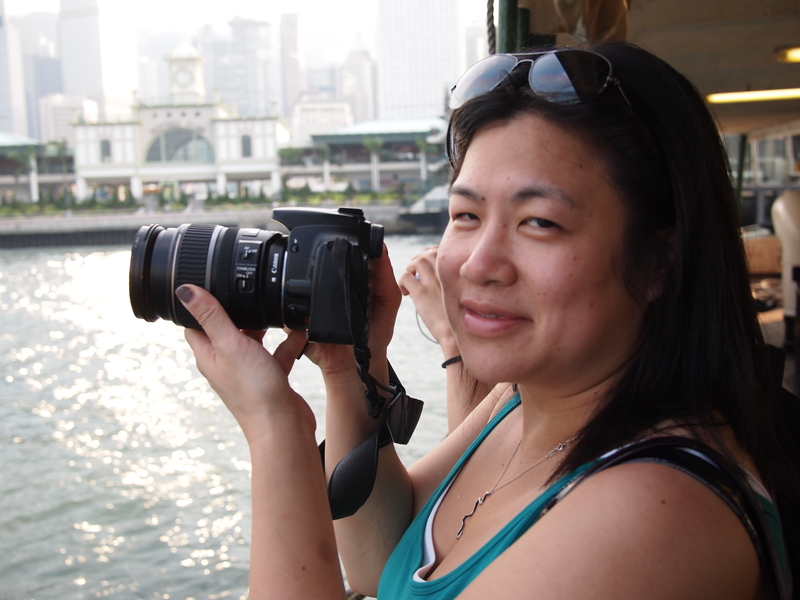 I think this was one of the most interesting experiences in HK. 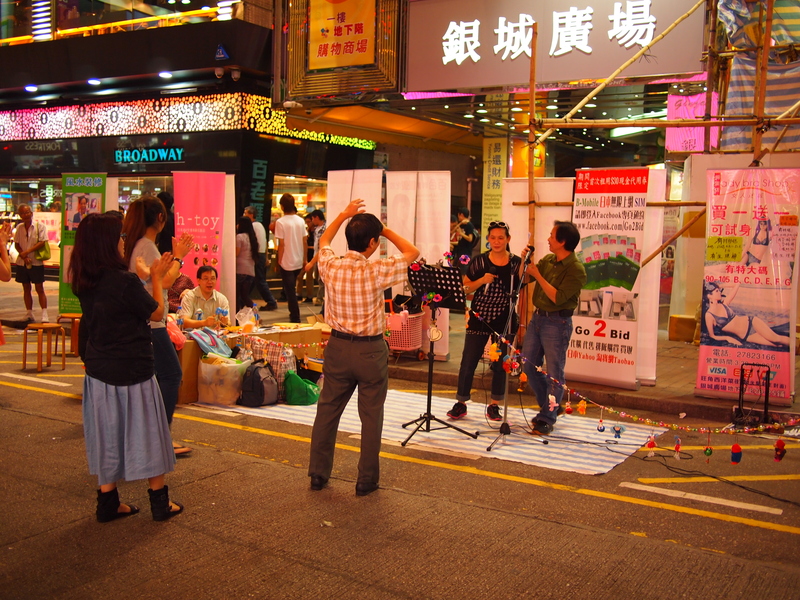 There were people dancing, singing, shopping, eating, protesting, and just hanging out on a hot summer night. Very cool. 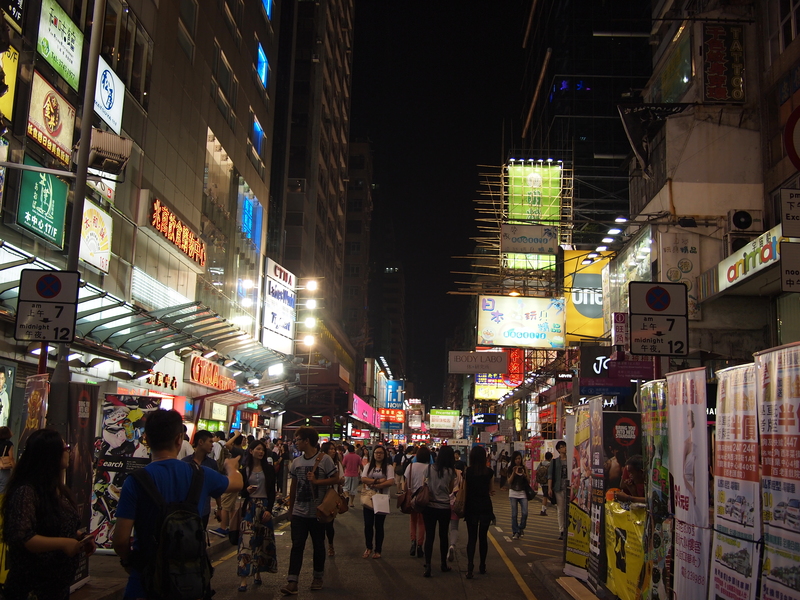 The streets of Hong Kong come alive at night! There were tons of singers set up along the streets singing. Most of the time it sounded more like karaoke than a concert. This musical duo had 3 enthusiastic fans. 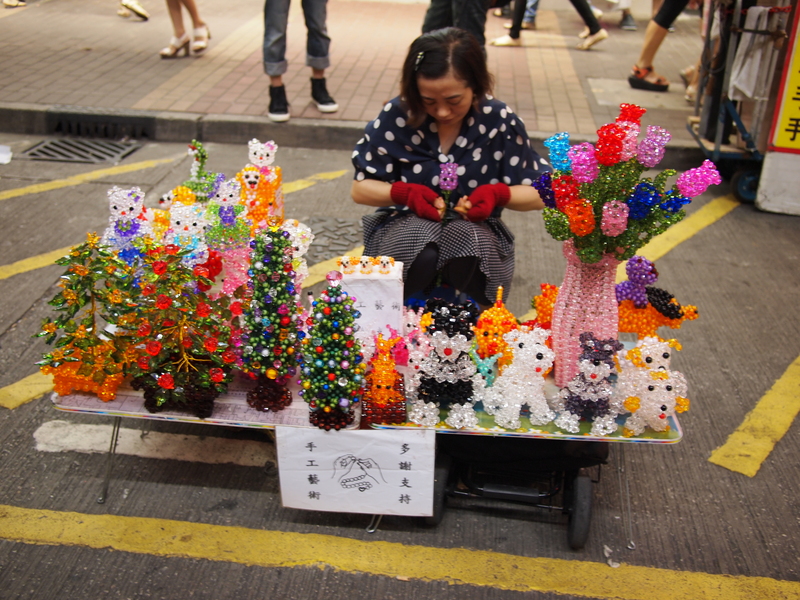 This lady is spending a lot of time making those glass flowers… I hope someone buys them! This is called “too many signs”. This was not even a main street. Definitely sensory overload for a foreigner like me. 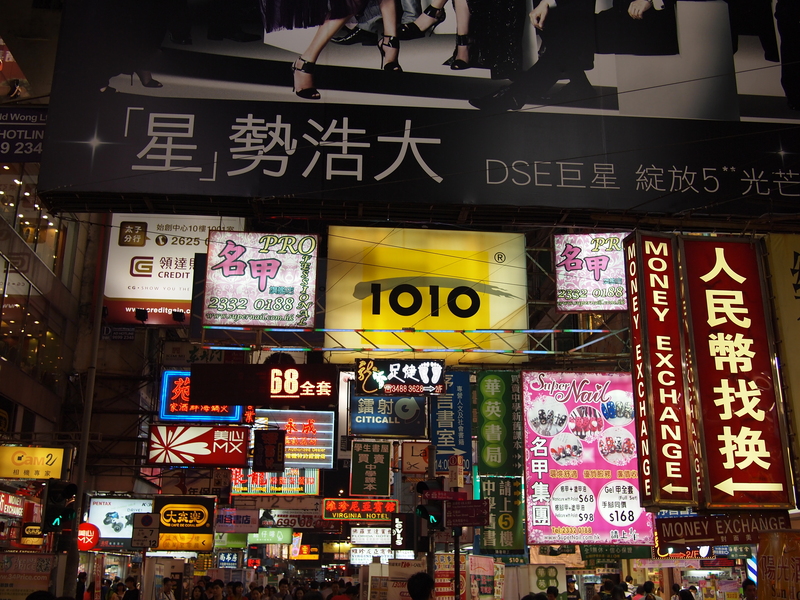 The shopping area was big and full of cheap products. They had some good deals on Toms shoes, but I had the sneaking suspicion that these HK vendors wouldn’t send a pair of shoes to a child in need. Kinda defeats the purpose. What time is it? Time to buy a watch. My favorite picture. Business is REAL slow tonight for this poor guy. This is what I looked like when I tried to do math homework at midnight in high school… asleep on the calculator. While we were headed out of the market, a group of students assembled from out of nowhere. They did this dance with “V for Vendetta” masks, then just dispersed and disappeared into the crowd. Selene told us that they were protesting against the education system in HK, using the “V” masks as a sign of rebellion and revolution. 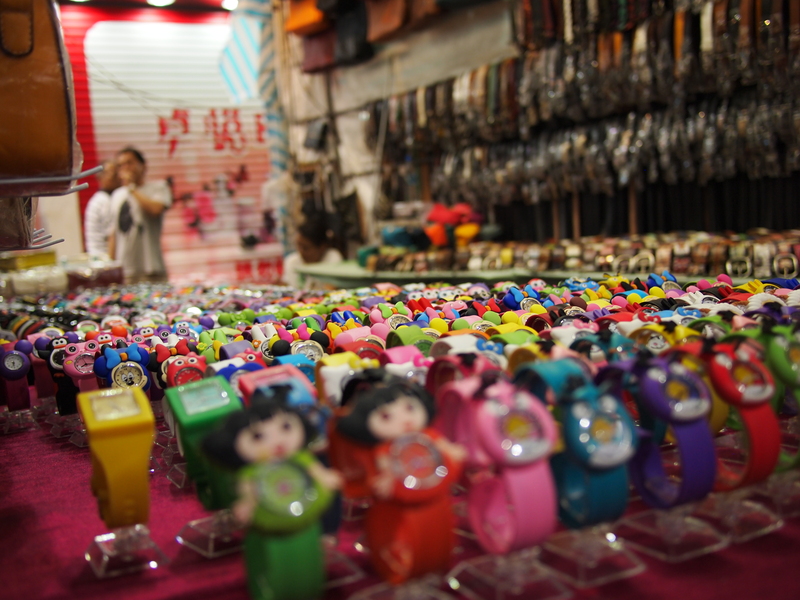 The market was a great way to end our short excursion to Hong Kong. Eric and I had a blast and it was really good to see Selene. She was a fantastic guide in the city. I don’t think I ate enough dan tat here, so I may have to return someday soon (or just find a place in Monterey Park). 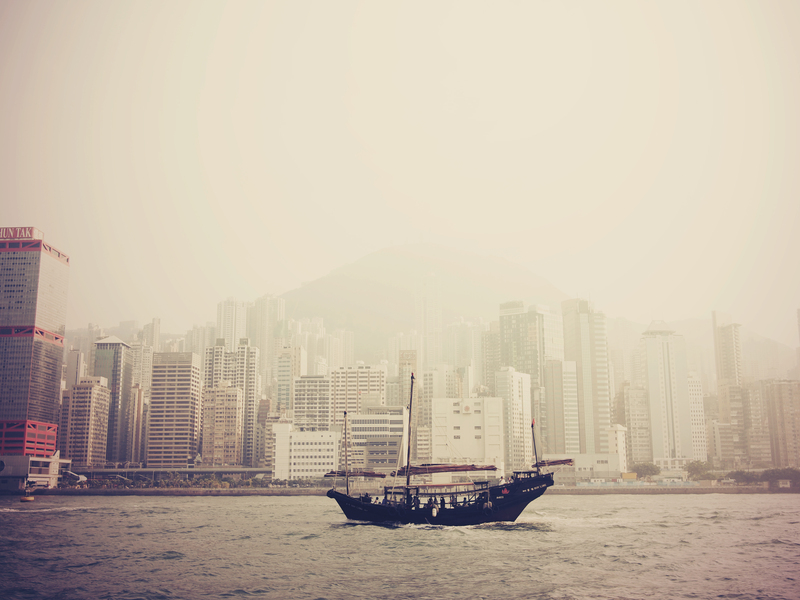 Until then, goodbye Hong Kong!